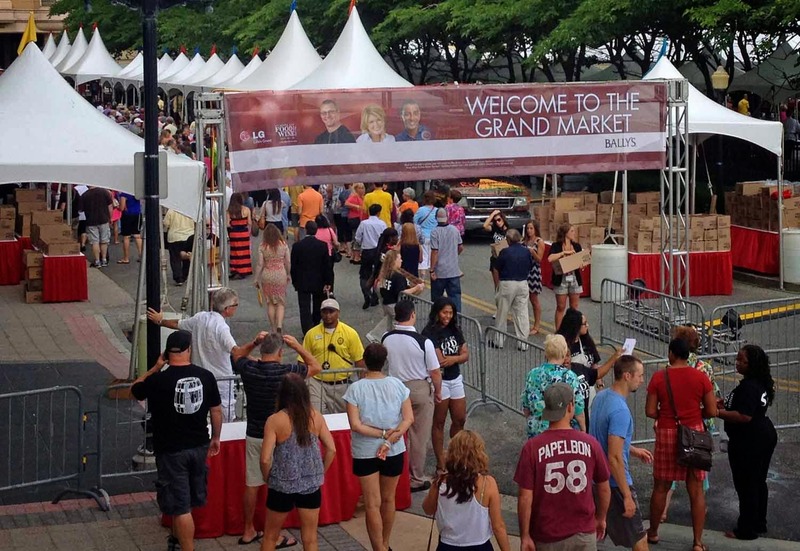 I've attended many food festivals around the country and the Grand Market is almost always my favorite event. 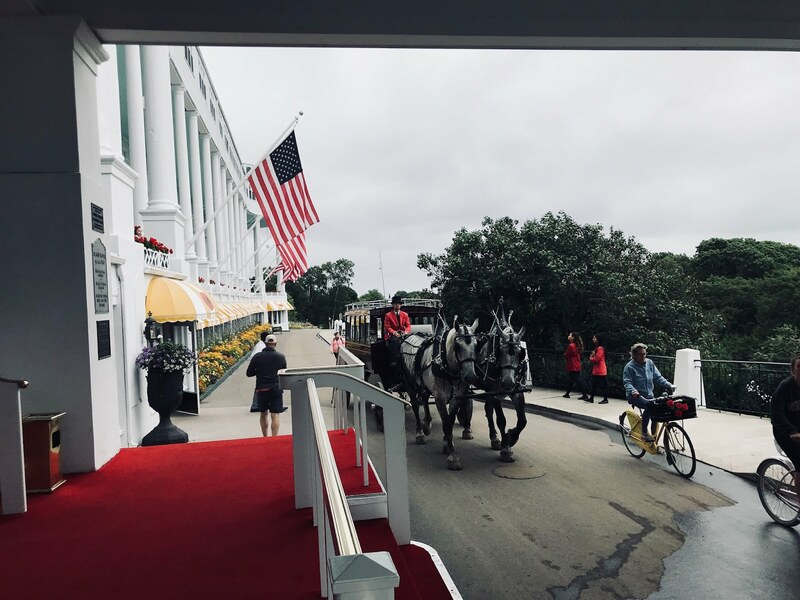 It's a chance to sample many different foods, wines, and spirits, as well as watch cooking demonstrations and meet personalities. 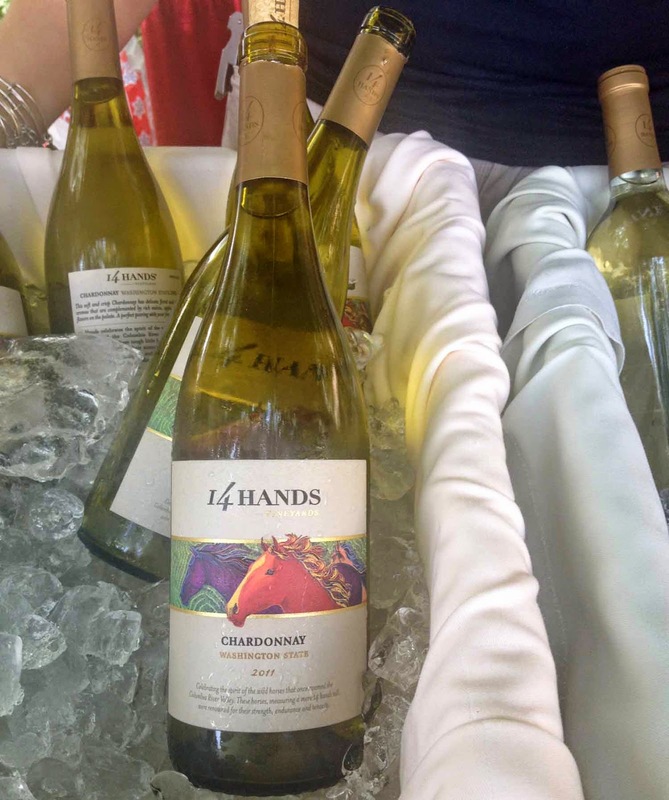 This year, the Atlantic City Food and Wine Festival, hosted by Caesar's Resort, moved their Grand Market outside for the first time. 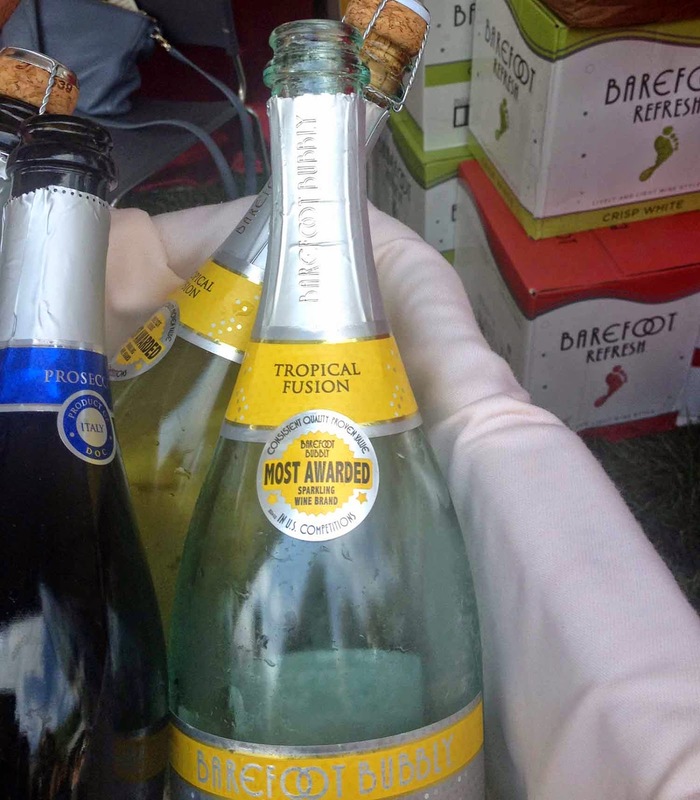 It was held in the park of Bally's Resort in Atlantic City. 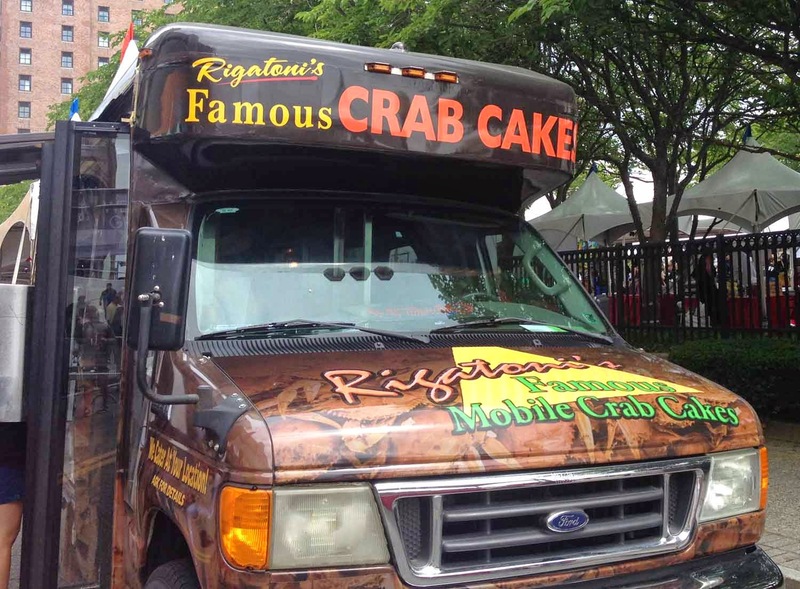 The weather cooperated and the outside location allowed some food trucks to join in the fun. 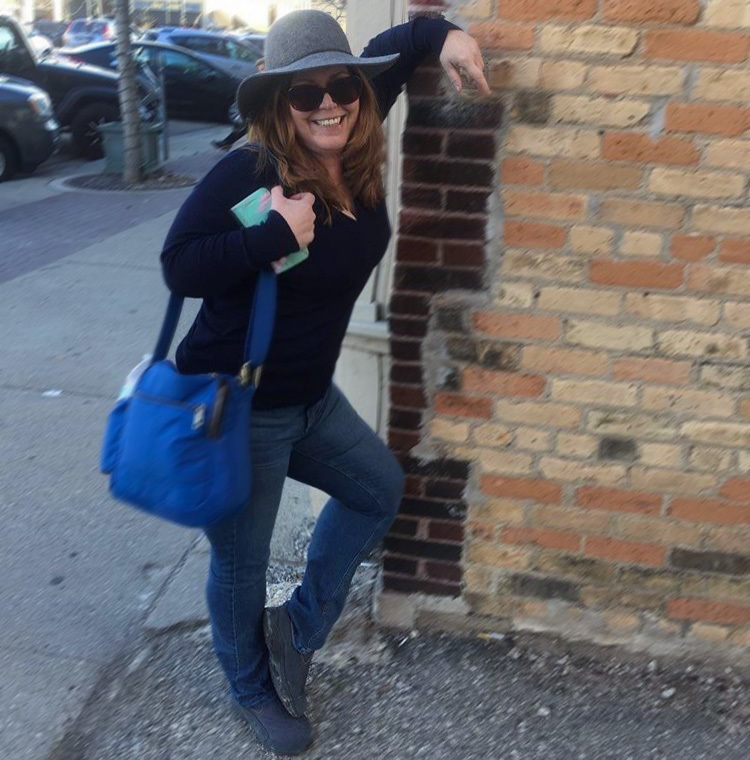 With the help of my daughter, Sam, I was able to enjoy lots of finds -- some new and some old favorites. 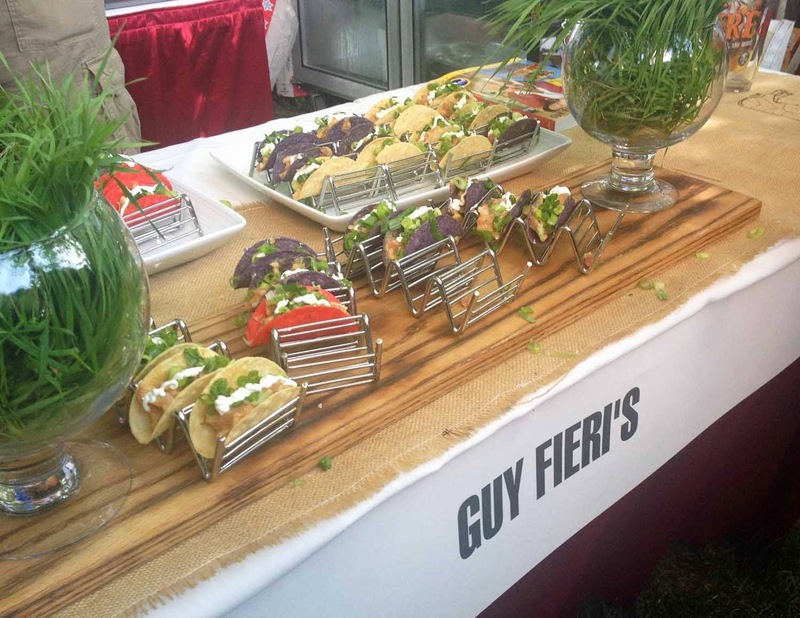 Guy Fieri's Fish Taco, from his new Bally's Restaurant, was a fan favorite. 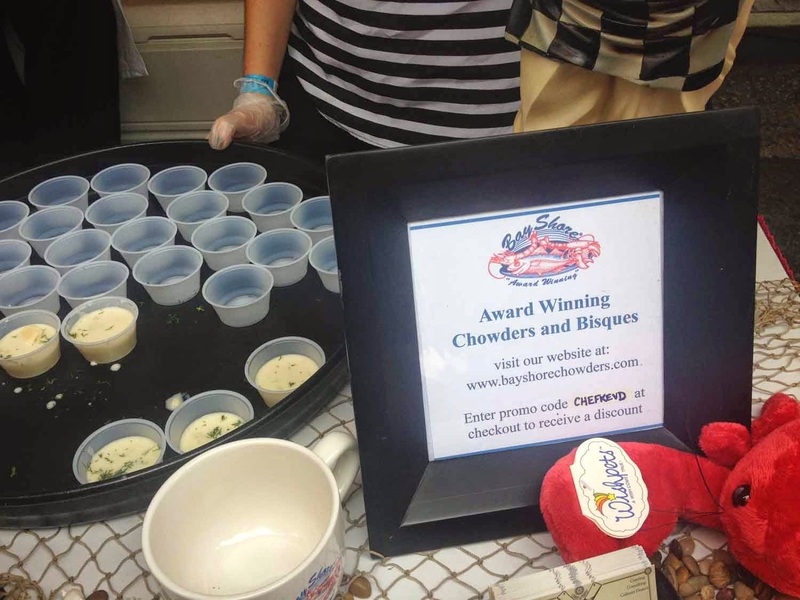 Bay Shore served a delicious Lobster Bisque. 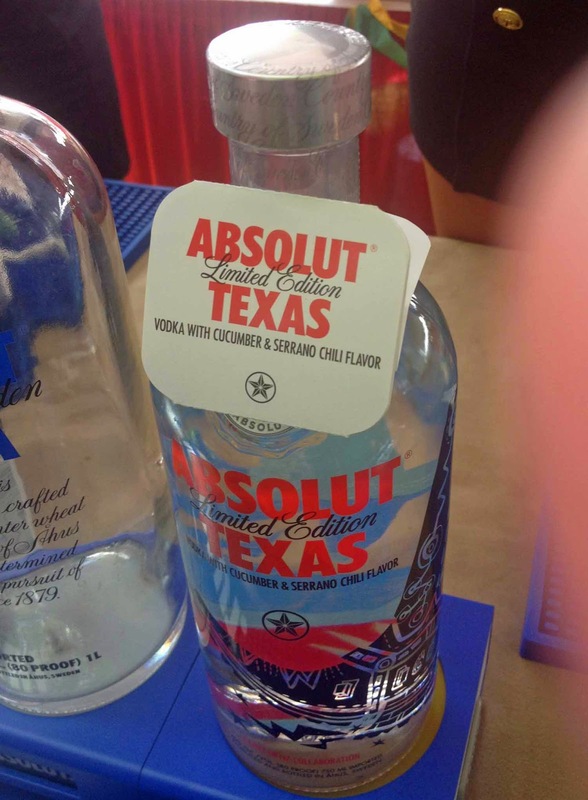 I was surprised that I hadn't previously sampled Absolut Texas, a limited edition worth trying. 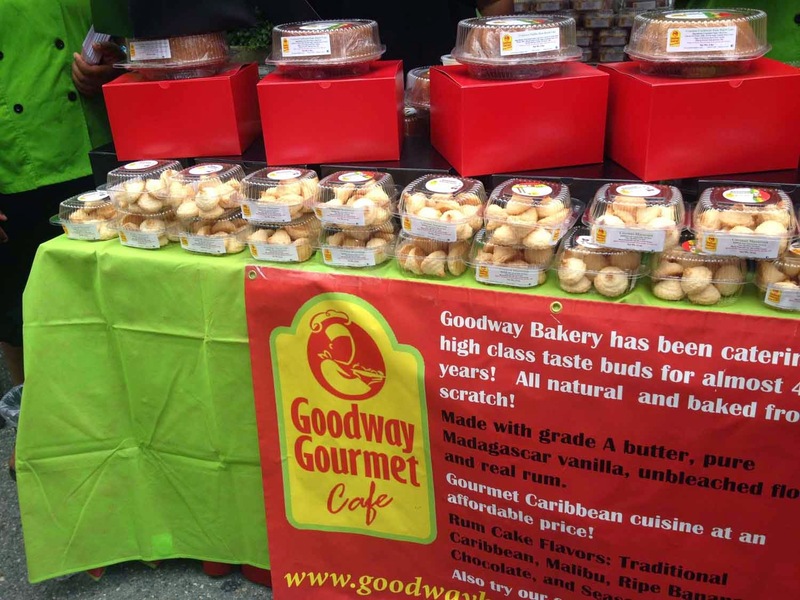 Goodway Gourmet Cafe had scrumptious coconut macaroons. 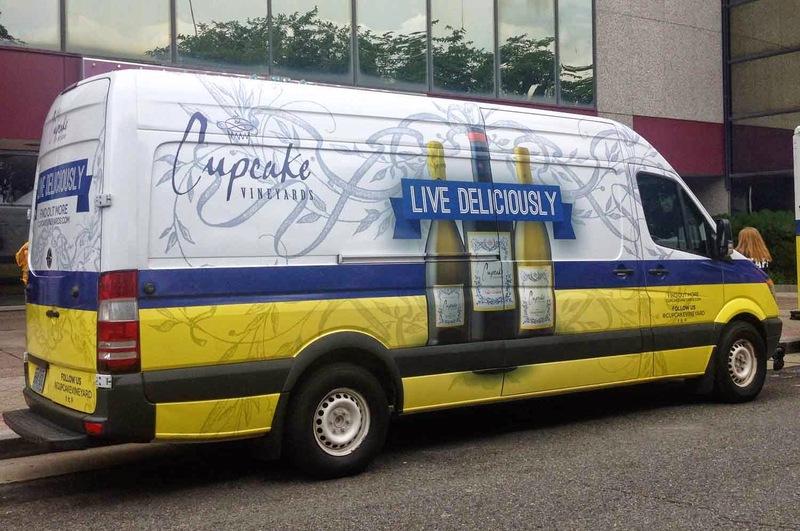 Barefoot Wines has done it again, this time producing a must-try Tropical Fusion. 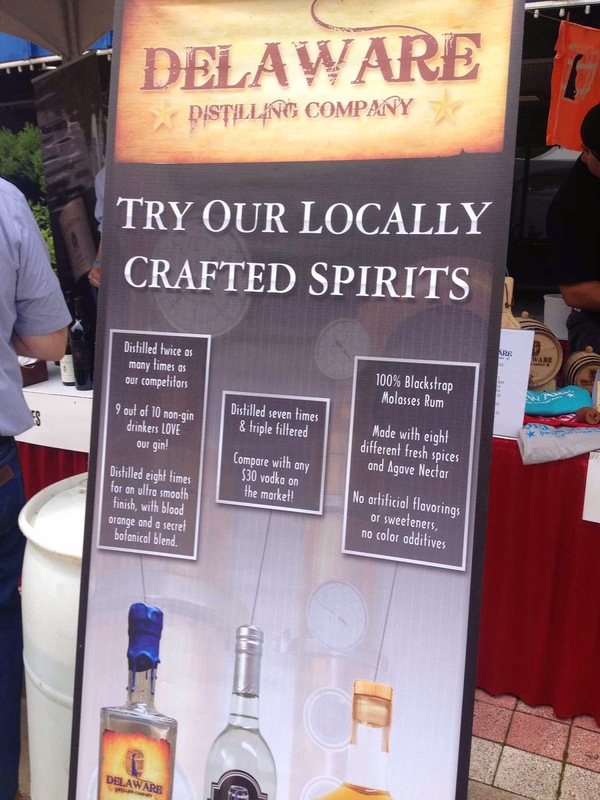 Delaware Spirits Spice Infused Rum with vanilla bean was smooth and tasty. 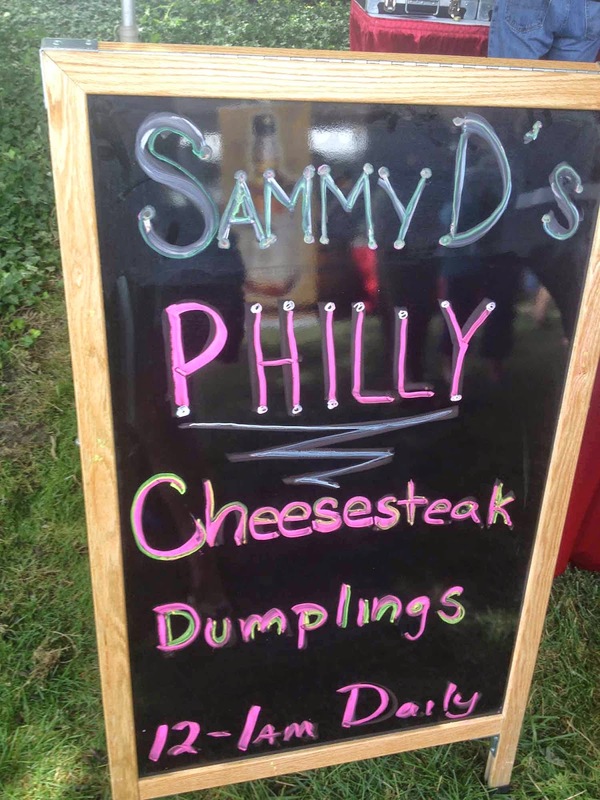 Sammy D's Philly Cheesesteak Dumplings was my favorite food. 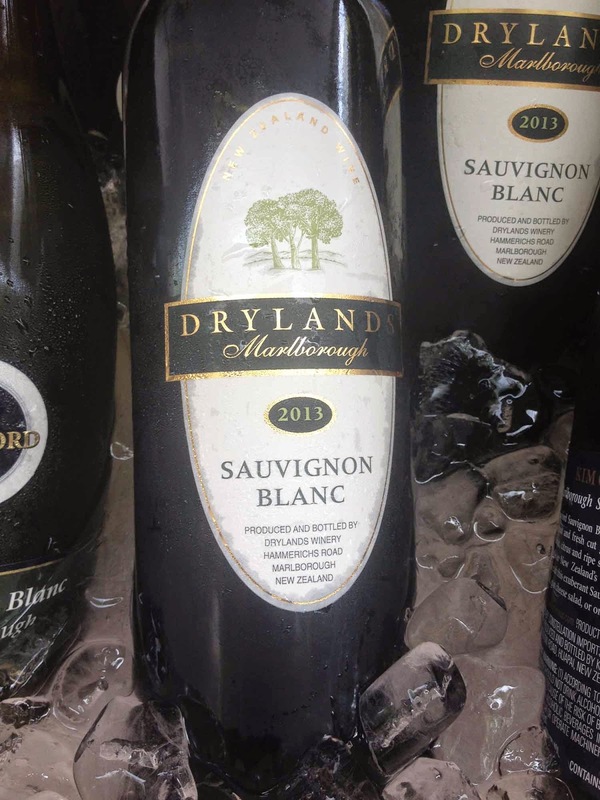 I love my New Zealand Sauvignon Blanc and won't forget Dryland. 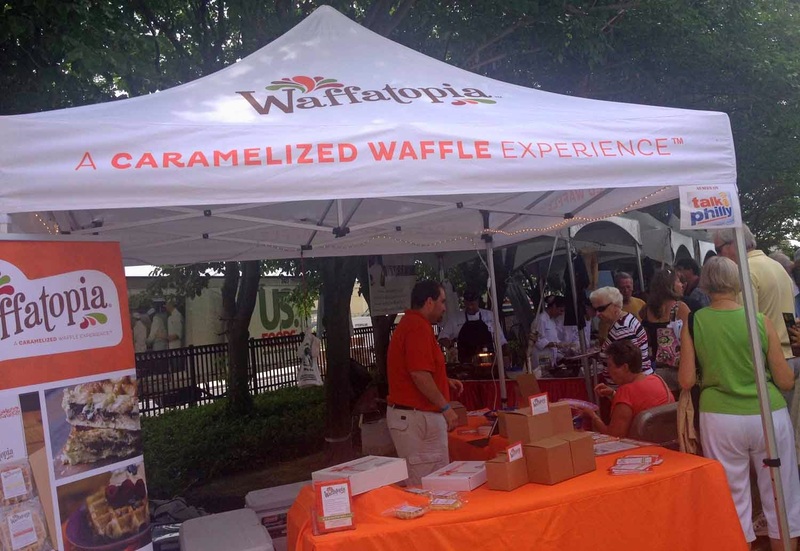 Waffatopia brought along yummy Caramelized Waffles. SKYY Vodka poured some great cocktails, including a Pear Vanilla.